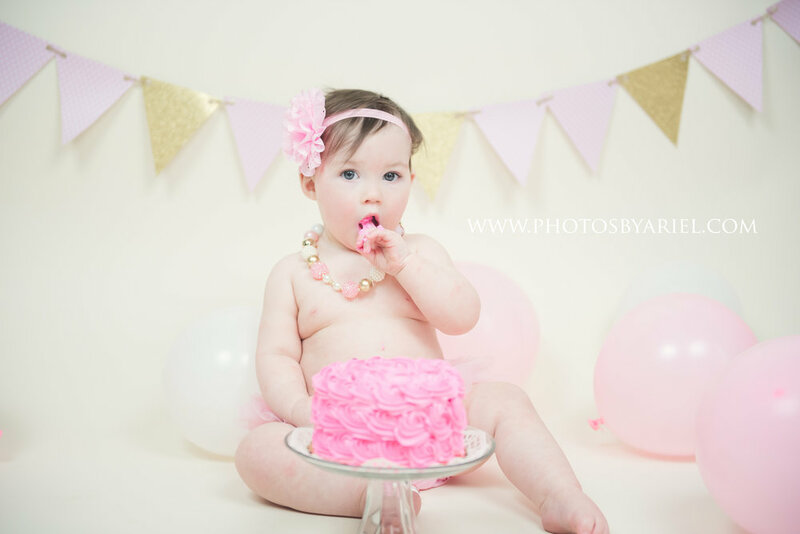 I have photographed June every 3 months since she was only 3 months old! She has such personality and was so much fun to photograph. She is a girl who knows what she wants and isn't afraid to ask for it. She is happy-go-lucky and such a joy to be around. It was hilarious, when I brought out the basket for her photos she absolutely LOVED it. So much, in fact, that when I took it away to move on to the next pose... she waddled over, picked it back up and carried it right over to the middle of the photo area. She was a hoot! 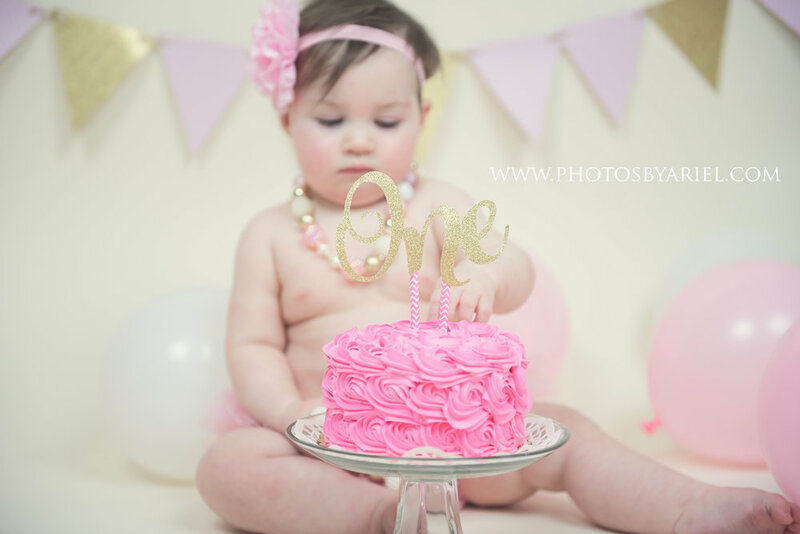 Enjoy these sneak peeks of June's First Birthday Session! Are you located in Illinois and looking for a photographer? Let me know! I would LOVE to meet your family!